This competition is the roots of our organization. This is where we started, and is what we use to get new members to take their first steps into high powered rocketry competition. It is no small task to compete, and we aim to win! We have long been working towards fabrication of our own liquid rocket engine. To that effect we are developing a hybrid rocket engine as both a stepping stone and a learning process. Currently in development are small and large test stands to test the motors that we have been manufacturing. Our current development team's end-game. 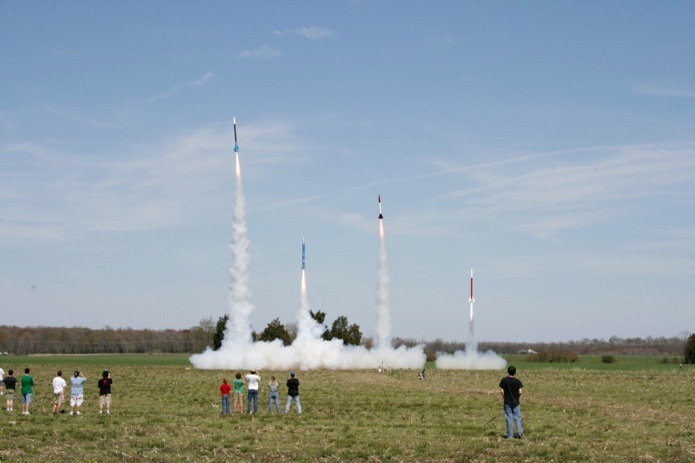 The spaceport america cup pits the most advanced rocketry organizations from universities across the nation against each-other to compete for prize and prestige. We are newcomers this year, but we are packing plenty of hard work and high ambition.